There's a new challenge at Your Next Stamp. We have a new Sketch and Spring Color palette to choose from. Or you can mix them up together on your project. 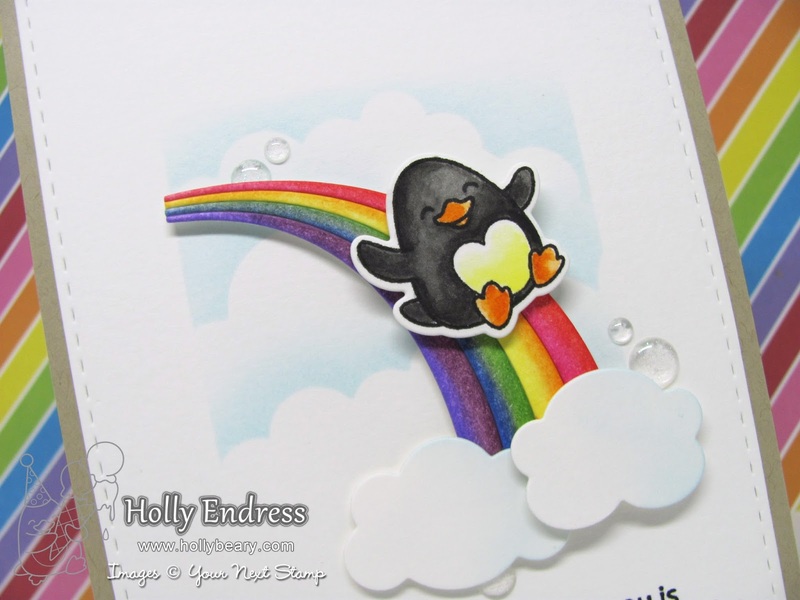 I decided to use the sketch this week along with the super cute Waddles Rainbow fun set. 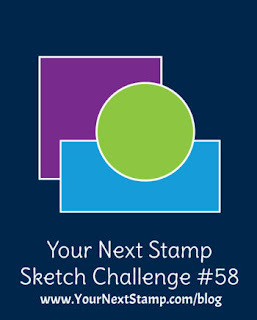 I used the images to create the shapes in the sketch. I created a stencil using the Puffy Cloud Border die set and created a background with some Tumbled Glass Distress Ink. Then I die cut the Rainbow and Cloud images from the Rainbow Fun Die set. I colored the rainbow images in with Distress Inks and then I created the layout with the pieces. I stamped the Waddles image onto Copic friendly paper using the YNS Black Olive ink and colored it in with Copics. I used the coordinating die cuts and adhered him to the rainbow. I added the main panel to a Kraft card base and for a bit of sparkle I added some Sparkle Gumdrops. 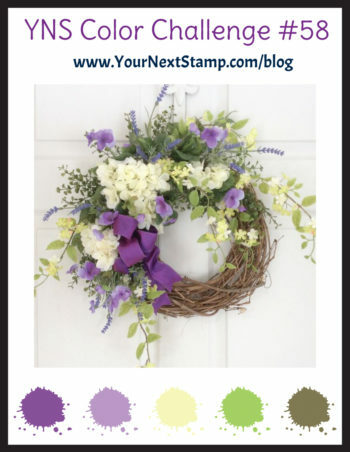 Head over to the YNS Blog to see more inspiration with this week's Challenge. We hope you will join us!! There's a chance to WIN a GC to the store for one lucky participant.